Audi A4 Avant Performance, Engine, Ride, Handling | What Car? All the petrol engines are 2.0 litres in capacity and are turbocharged to boost power. The range kicks off with the 148bhp 35 TFSI, which we’re yet to try. Next up is the 187bhp 40 TFSI, which offers a considerable performance boost without pushing up running costs too much. There’s also a 245bhp 45 TFSI that comes with quattro four-wheel drive and an automatic gearbox. As you might expect, it feels pretty rapid. 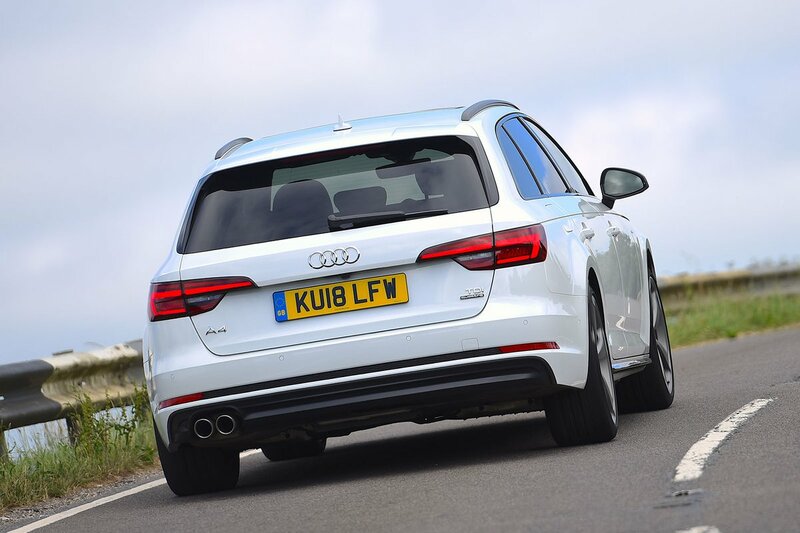 However, we reckon the diesels make more sense thanks to their better blend of pace and fuel efficiency. The 148bhp 2.0-litre 35 TDI has decent low-end shove for driving around town but can feel a little flat if you’re overtaking on faster roads – a failing addressed by our favourite, the more powerful 187bhp 40 TDI version of the same engine. At the top of the tree is the 282bhp 50 TDI. 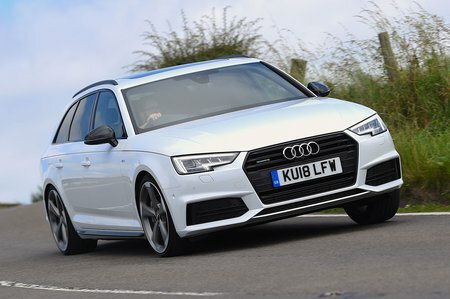 It's a revised version of the 3.0-litre V6 diesel used the A4 for several years, and if older versions are anything to go by, it promises rapid performance. We'll let you know once we've sampled it. SE and Sport trims come with our favourite Comfort Dynamic set-up as standard. This passive system uses conventional springs and dampers and will give you the smoothest-riding A4 if you stick with the default 17in or 18in alloy wheels. As its name suggests, this set-up puts comfort first, dealing effectively with all manner of lumps and bumps, while controlling body movements over dips and crests extremely well. It pays to remember that larger wheels tend to make the ride harsher, though. Pricier S line and Black Edition versions come with passive Sport suspension as standard. A stiffened and lowered version of the set-up described above, it further sharpens body control but at the expense of a little extra bumpiness at low speeds. In our opinion that penalty isn’t worth paying, and we'd rather take advantage of Audi's offer to swap this stiffer suspension to our preferred Comfort Dynamic set-up at no extra cost. Refinement is one of the Audi A4’s strongest suits. Every engine, including the diesels, is hushed and transmits very little vibration through to the driver. Although we're yet to try the updated 3.0 V6 diesel (50 TDI), our experience of this engine in its previous form A4 suggests that it should still be the smoothest and quietest of all. It's an engine that has proved as refined as those of luxury limos costing twice the price, remaining whisper-quiet even when worked hard. The A4 suppresses wind noise better than its key rivals, too, and you’ll only hear the occasional muted thud from the suspension even over rough patches of road. Road noise is also very well suppressed — unless you add the bigger wheels, which have the potential to generate a lot more tyre roar. The six-speed manual gearbox is relatively precise and easy to use. The S tronic automatic gearbox can be a little jerky at parking speeds, but shifts smoothly the rest of the time. The brakes are also progressive, making it easy to shed excess speed smoothly.